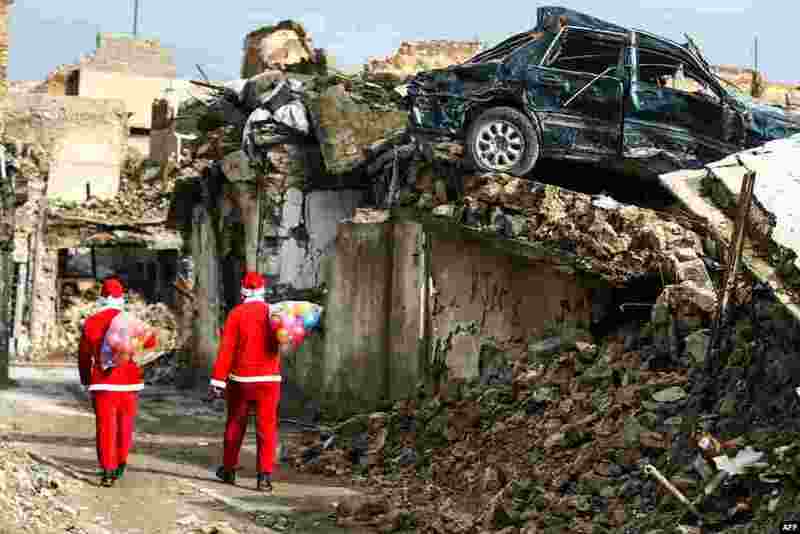 1 Iraqi youths dressed in Father Christmas suits walk through the streets of the old city of Mosul to distribute gifts to the children. 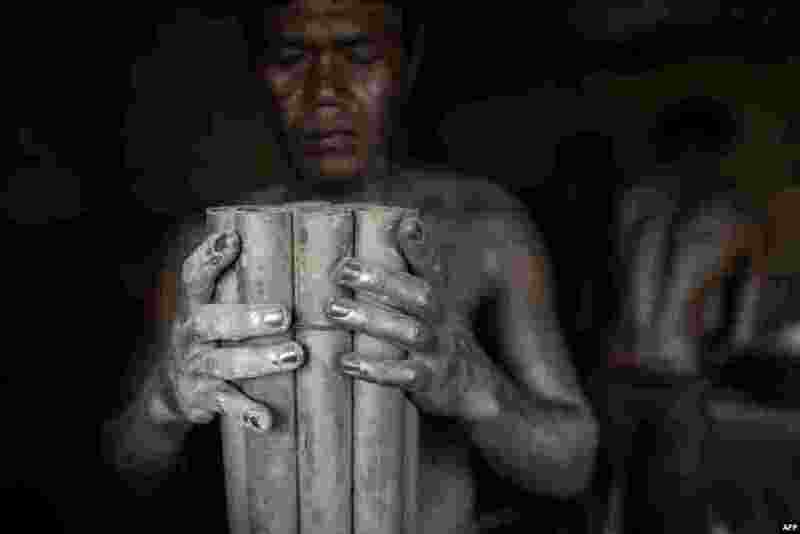 2 Workers covered with gunpowder make fireworks for New Year celebrations in Bocaue, Bulacan, north of Manila, Philippines. 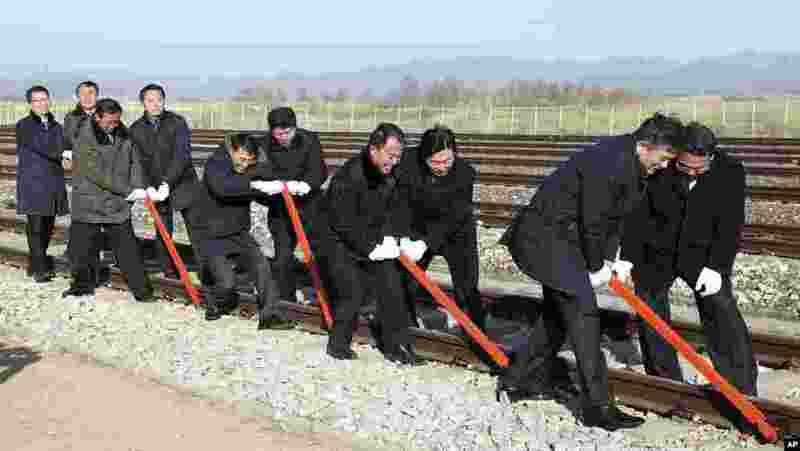 3 South and North Korean government officials connect northern and southern railroad tracks during a groundbreaking ceremony at Panmun Station in Kaesong, North Korea. 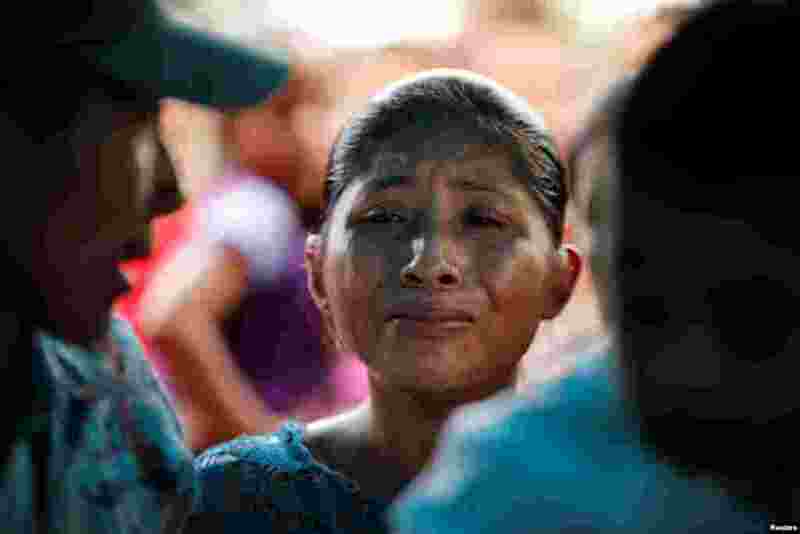 4 Claudia Maquin, mother of Jakelin Caal, a 7-year-old girl who handed herself in to U.S. border agents earlier this month and died after developing a high fever while in the custody of U.S. Customs and Border Protection, reacts during her daughter's funeral at her home village of San Antonio Secortez, in Guatemala, Dec. 25, 2018.